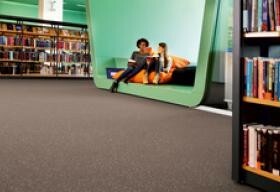 The Premium range is the largest ever collection of non-directional designs in plain and contrast colour combinations. It allows you to plan your entire project within one collection, Primo Premium & Eclipse Premium (with Spirit Collection & Classic collection), combining all required functions - Primo Acoustic, Primo SD and/or Primo Safe.T - together with matching colours. Primo Premium brings you an unrivalled world of colours and coordination possibilities in line with evolving user needs and lifestyle trends.